According to the graphics card grapevine, AMD is set to launch a new midrange offering at the end of next week. The Radeon R9 380X will boast a full Tonga GPU with 2,048 stream processors, 128 TMUs and 32 ROPs, aKorean site (Hardware Battle)reports. The clock speed is as yet unknown, though it should be around 1000MHz or just over, with bandwidth possibly running up to 192GB/s. What is definitely known is that the graphics card will be packing 4GB of GDDR5 memory with a 256-bit memory interface (older speculation had pointed to a 384-bit bus, but that's not going to happen). The R9 380X will sit just above the base R9 380 (pictured), obviously enough, between that and the R9 390, and the rumour has pegged the US price at $249. 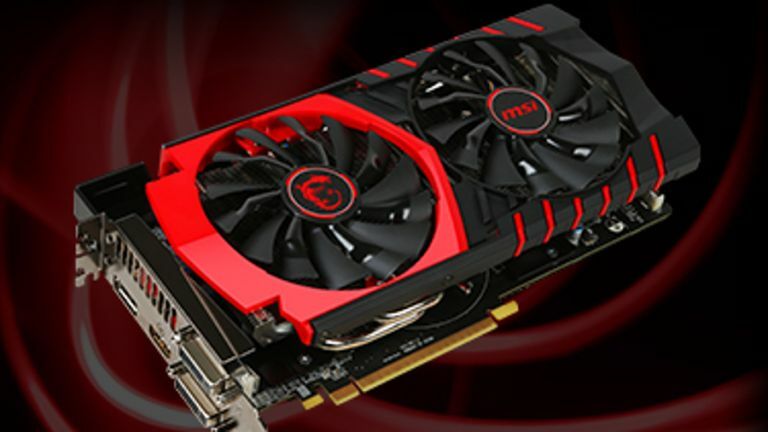 So the card will likely be priced somewhere around the £200 mark over here, hopefully a bit under that so as to make it an even more tempting proposition compared to the vanilla R9 380 or indeed Nvidia's GeForce GTX 960. The R9 380X launch is apparently set to happen on November 15, next Sunday, so we haven't got long to wait to find out the exact spec and asking price. There's no doubting, however, that the card will certainly be a welcome addition to the mid-range club. AMD also recently announced that it will be providing the graphics cards to power Dell's 'Oculus-Ready' PCs, namely Radeon R9 GPUs incorporating the company's LiquidVR technology. Those of you keen to try out virtual reality PC gaming, but worried about the nausea issues you may have heard about, will be pleased to hear that LiquidVR is designed to deliver a high-performance and low latency VR experience that helps avoid any potential bouts of gaming-induced sickness.